American University in Cairo Press, 9789774163067, 286pp. Cairo, Mother of the World, embraces millions-but some of her children make their home in the streets, junked up and living in the shadows of wealth and among the monuments that the tourists flock to see. Mustafa, a former student radical who never believed in the slogans, sets out to tell their story, but he has to rely on the help of his American girlfriend, Marcia, who he is not sure he can trust. Meanwhile, his former leftist friends are now all either capitalists or Islamists. Alienated from a corrupt and corrupting society, Mustafa watches as the Cairo he cherishes crumbles around him. The men and women of the city struggle to find lovers worthy of their love and causes worthy of their sacrifice in a country that no longer deserves their loyalty. The children of the streets wait for the adults to take notice. And the foreigners can always leave. 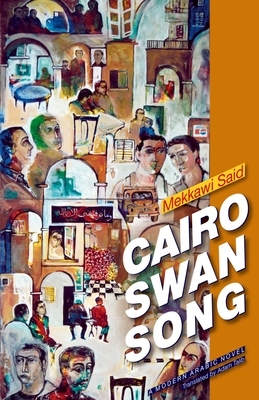 Mekkawi Said was born in Cairo in 1955. His first collection of short stories appeared in 1981, and since then he has produced four more. His first novel won the Suad Sabbah Arab Creativity Prize in 1991. Cairo Swan Song, his second novel, was shortlisted for the International Prize for Arabic Fiction (the 'Arabic Booker') in 2008. Adam Talib is assistant professor in the Department of Arab and Islamic Civilizations at the American University in Cairo, and is the translator of Khairy Shalaby's The Hashish Waiter (AUC Press, 2011).